Welcome to visit us in 2018 Canton Fair - Heilongjiang Safer Co., Ltd.
We are safety shoes and rain boots manufacturer in china. 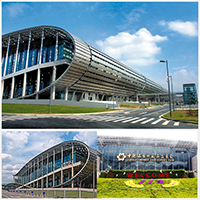 Our factory will attend 2018 CANTON FAIR in guangzhou. In the exbihition, we will show our new collection safety shoes and rain boots for each buyer from all over the world.